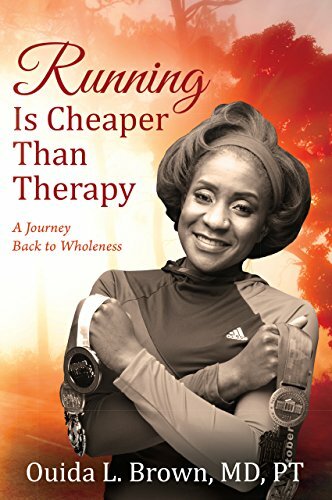 Today’s Sunday Snippet is from Running Is Cheaper Than Therapy: A Journey Back to Wholeness by Ouida L. Brown. The book is about the author’s life after losing her beloved mother to breast cancer. This snippet was provided by the author for your reading pleasure. were about to send her to the intensive care unit (ICU). stop messing with me. I could not do that. was to come with my mom? she was my heart. They gave me some paperwork to fill out. speech. She slept most of the time. She had no appetite. When I tried to feed her, she fussed, which made me smile. It was proof that she was still there. I still had some hope. She occasionally was her usual self, especially with company. aspirate. I stopped, and just sat by her while everyone talked. went to grab her hand in the coffin, and it was cold and blue. window, look at the river, and cry. Why was my mom gone? I wanted my brother, my father, my best friend there with me. This entry was posted in Sunday Snippets and tagged Ouida L. Brown, Running Is Cheaper Than Therapy, Running Is Cheaper Than Therapy: A Journey Back to Wholeness, Running Is Cheaper Than Therapy: A Journey Back to Wholeness by Ouida L. Brown. Bookmark the permalink.